(d)	To assess the influence of the combined current and waves on the drift forces. The experimental data will be used to assess the existing code based on the complete second order solution, establish the limits of application of the theory and verify the usual procedures to calculate the slow drift forces in irregular sea states and compare them with the complete solution. 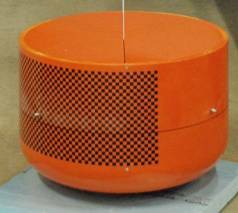 The tests were carried out with a floating model of simple geometry (a cylinder with rounded bottom). Two setups of the model were tested, namely the restrained model and the free floating model. The objective of the restrained model tests was to measure only the wave exciting forces, therefore decouple other effects associated to the motions in waves. The model was fixed in place to a rigid structure and a specific force gauge measured the horizontal and vertical hydrodynamic forces. For the free model, a specific mooring system was designed with the objective of minimizing the effects on the body motions. 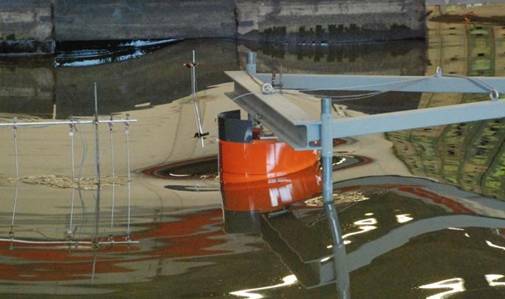 Measurements include the wave elevations, body motions and forces on the mooring lines. Pessoa, J., Fonseca, N., Guedes Soares, C., 2009, “Drift forces on a floating body of simple geometry due to second order interactions between pairs of harmonics with different frequencies”, Proceedings 27th International Conference on Offshore Mechanics and Arctic Engineering (OMAE2009), paper OMAE2009-80225, 31 May – 5 June, 2009, Honolulu, Hawaii. Pessoa, J. et al., 2010, “Experimental Study of the Slowly Varying Exciting Drift Forces on a Body of Simple Geometry”, HYDRALAB III Closing Event, 2-4 February 2010, Hanover.